The record-breaking production is based on the story and characters from the Oscar-winning DreamWorks Animation film, Shrek. 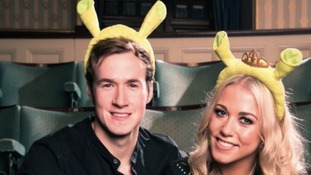 The 'You Bring Me Joy' singer, from Middlesbrough, will take on the role of Princess Fiona for a UK tour - it comes after she appeared on Children in Need as the character back in 2012. Shrek the Musical will have a run at the Sunderland Empire Theatre between Wednesday 31 January and Sunday 11 February 2018.